30 years and 1000+ homes later, the Baer Hall name has become synonymous with 'performance' in the Oklahoma City metro home building business. Baer Hall Homes has been family owned and operated since opening in 1986, and for the past 30 years and still today, all of the customers interactions have been with the builder/owner, not a superintendent, who oversees the entire process from signing the contract to move in, and after the sale to ensure customer satisfaction. Contact us or visit our model home today to learn more about our process! For those looking for a custom home, but have another preferred builder or are looking to build outside of our area, head over to Hall Home Designs, where we are willing to design floor plans exactly to your liking for a flat fee. Come check out our model home in Talavera, located just northwest of I-35 at Indian Hills Road. Oklahoma Natural Gas's 'One in Energy' program sets high standards for homebuilders. 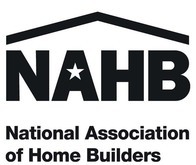 As participants, any house built by Baer Hall Homes meets and exceeds these standards. By performing a series of inspections and tests during the construction process, it is ensured that homebuyers are moving into an energy efficient home. Learn more about Home Energy Solutions' inspection and rating process here.